Brooklyn, NY Broadway Construction Group and RXR Realty has celebrated the topping out of 810 Fulton St., RXR’s 12-story, 393,000 s/f residential and retail property in the Fort Greene section. 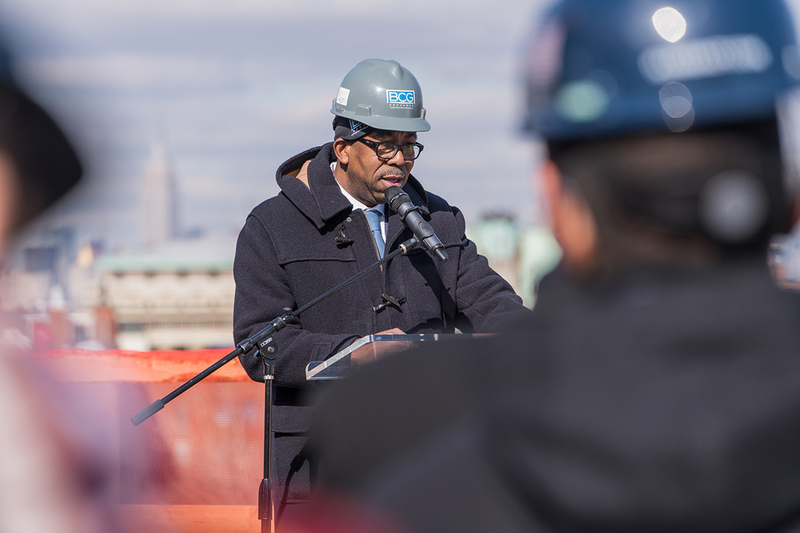 The ceremony was held at the construction site and featured speeches from executives of Broadway Construction and RXR, followed by a celebratory luncheon at the adjacent 470 Vanderbilt Ave.
BCG VP Everard Martin speaking at the ceremony. 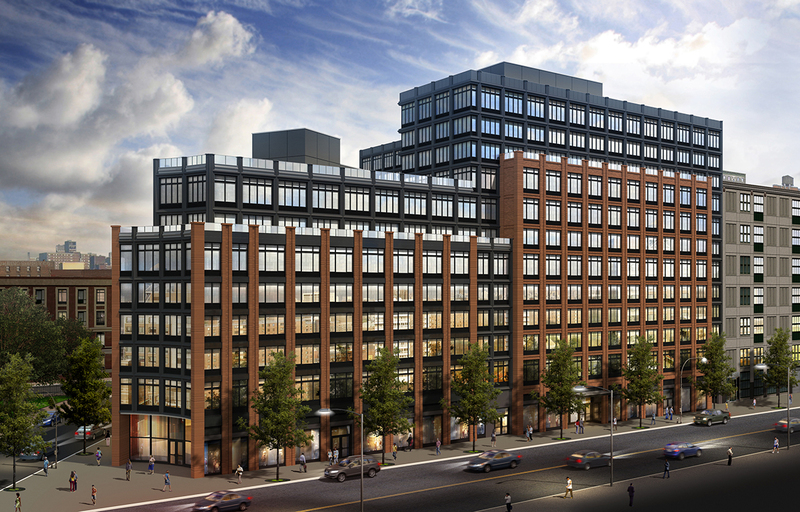 When completed in 2019, the $200 million project will be one of the most dynamic mixed-use properties in Northern Brooklyn, with 363 apartments, 163 parking spaces and a full amenity suite to accompany the building’s 33,000 s/f of ground-floor retail. The project architect was Aufgang Architects. The 810 Fulton St. property is situated near a diverse array of nightlife, shopping, and dining establishments. The area has been enhanced significantly in recent years, with a range of new developments, including the Barclays Center and the adjoining Pacific Park mixed-use project.